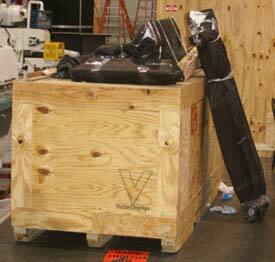 Vector Displays can custom design any size wood crate that you need for trade show displays, electronic equipment, medical equipment, or other material or equipment that requires careful handling. 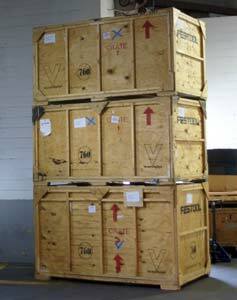 Our lightweight and reusable crates are designed specifically to protect your valuable shipments. 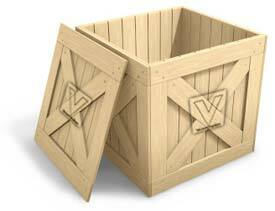 In addition to being designed and built for repeat use, our custom shipping crates are manufactured to simplify the job of setting up and dismantling your trade show booth and any products or equipment that you ship. "Thank you very much. You did save me. I will admit that I didn't know who would be able to build them in time, so I contacted four companies. Two ignored me, and you were the only one to get past initial contact. I will remember that when I need something in the future."